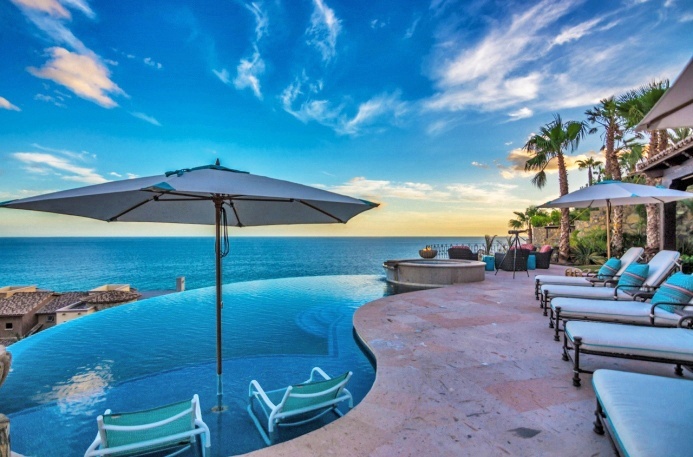 Espíritu Del Mar is one of the most distinctive communities in the Los Cabos area. Innovatively designed, every home in Espiritu has been carefully planned to take in the ocean breezes from the Sea of Cortez, providing homeowners with a relaxing, private mountain retreat with the best views in all of Los Cabos. Combined with Del Mar Development’s signature trademarks of innovative design, superior craftsmanship and superlative services, Espíritu Del Mar will take its place among Del Mar Developments’ landmark communities in Los Cabos. Espiritu includes 28 acres of community parks, gardens and open spaces, with over 3 miles of walking trails leading to the hilltop sanctuary of Mirador de la Cruz, through the arroyos to Sea of Cortez beaches, or to Villas Del Mar and Club Ninety Six, the private beach club for Del Mar Development homeowners. Club Espíritu, set to become the go-to destination for family outings within Espiritu boasts outstanding amenities for all ages; family infinity edge pool, spa, and water slide, and an incredible personal fitness facility with a spinning and pilates studios and an outdoor yoga pavilion; while casual Palapa dining with healthy creations, including a smoothie and juice bar present a more relaxing way to pass the time. Homes and condos are now available in the Ledges, Las Casitas, Club Casitas, Espiritu Estates and Remanso.